This ski is on the third floor of a larger complex in / ski out apartment for four people. The kitchen is equipped with such a dishwasher, microwave and oven. Moreover, the house is equipped with washer and Wi-Fi (fee). So you have just as much -or multi comforts of home. From the balcony on the south side you have the mountains and ski include sight. La Tania is one of "the world's youngest ski resorts, built for the Olympic Winter Games in Albertville in 1992. With Courchevel and Meribel on the one hand, on the other hand is the middle of" the world's largest ski area. 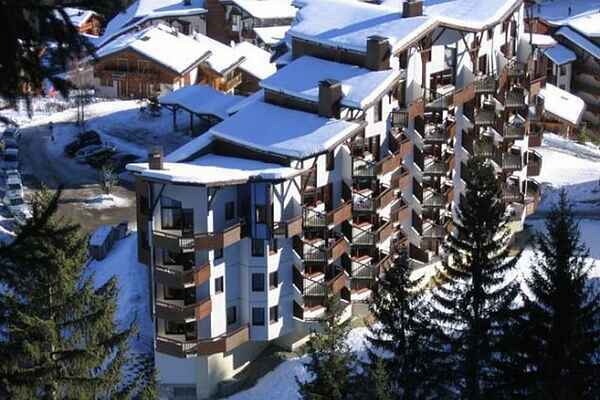 While many villages are well known in the Trois Valles to the unprecedented opportunities in terms of party, entertainment and crowds, La Tania is a quiet and pleasant village with many chalets, surrounded by forests.